Vintage Bezel-Set Diamond Engagement Ring | Shane Co. 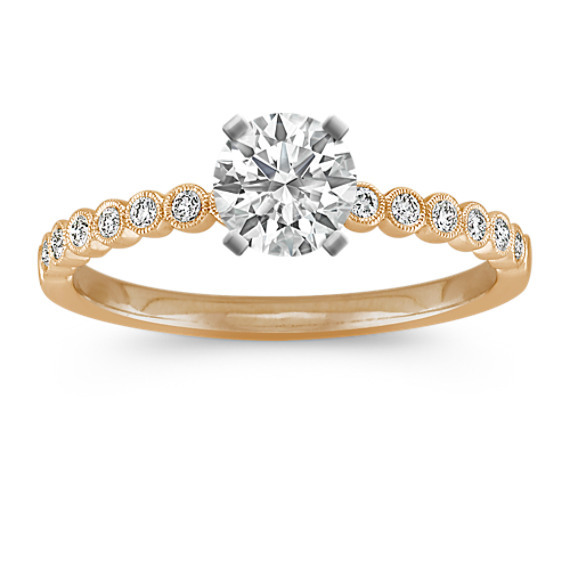 This sweetly simplistic 2mm engagement ring is highlighted by 14 round diamonds, at approximately .10 carat total weight, each bezel-set within the ring crafted from quality 14 karat yellow gold. Milgrain detailing provides a charming accent around each shimmering diamond. Complete this lovely setting by choosing the center diamond of your choice.